Preheat an oven to 350°F. Unroll the dough onto a greased cookie sheet. 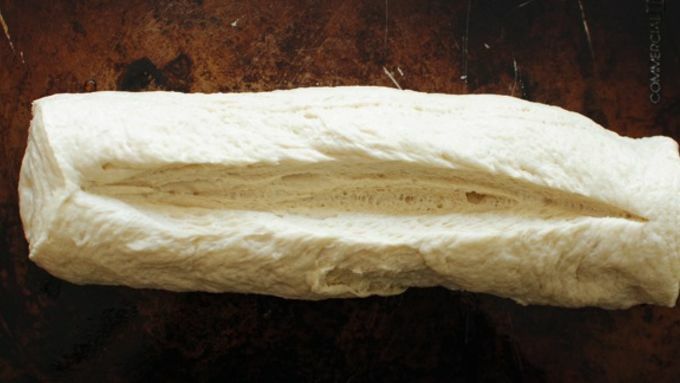 Using a paring knife, slice a 1-inch slit lengthwise across the top of the bread. Bake for 25 to 30 minutes, or until golden brown on top. Once the bread has cooled about 5 minutes, even slice into 1/2 inch slices. Evenly spread the chipotle spread over half of the bread slices. Top with shredded chicken and 3 cheese slices. Top with remaining bread slices. Heat the oil in a large skillet and grill the sandwiches until the the cheese has melted and the bread is golden brown on both sides, about 5 minutes total. Serve with tomato soup, if desired. What we have here, folks is a trifecta of mouthal bliss jubilation. BECAUSE, these Chipotle Chicken Grilled Cheese Sandwiches are a cross globular phenomenon of orbital proportions. What do I mean by that? I have no idea. Basically, what I'm trying to say is you can eat these at any time. Any opportunity you get, do it. Game day appetizers? I mean yeah. Indulgent lunch time? By all means. 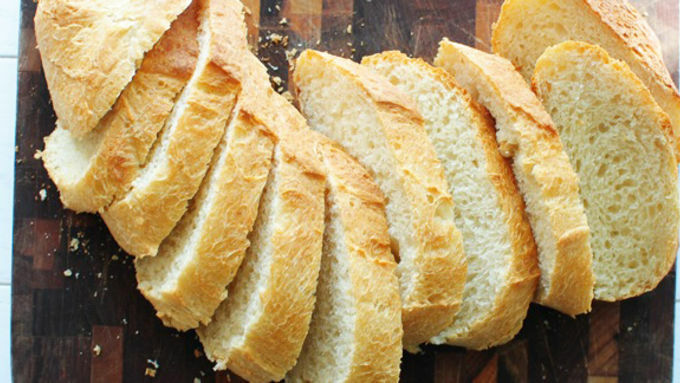 You've got freshly baked Italian bread, all sliced and warm and soft. 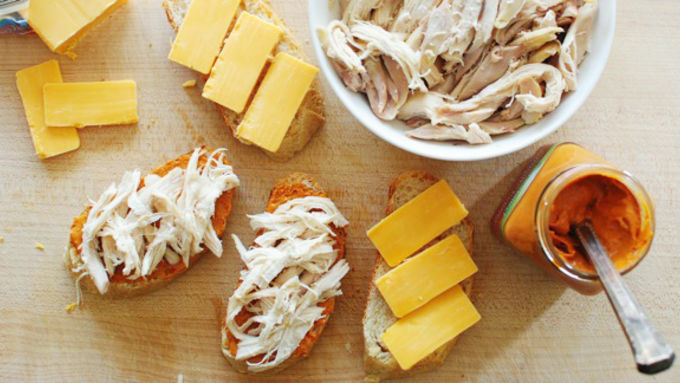 You've got shredded rotisserie chicken because it's nice to keep life easy. You've got some yummay chipotle spread you purchased because the game starts in 5 minutes and you ain't got no time. 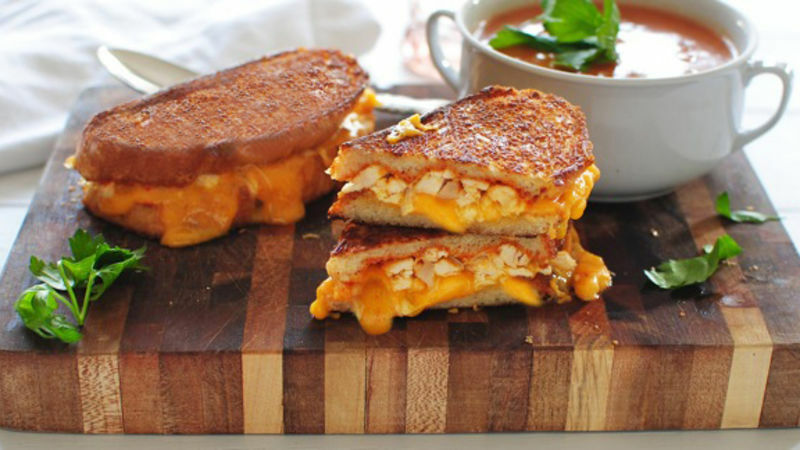 You've got thick slices of cheddar cheese because duh. You've fainted, haven't you? I know. I know. Just assemble. Some chipotle spread, some chicken, a lot of cheese, your face. The end. Sort of. Grill them up all gorgeous like and live a most glorious life. I served mine with a creamy tomato soup and completely, completely died.